Of course, becoming a mother has given me perspective, and while I wish I could have the body of a Victoria’s Secret Model, the reality is that I simply don’t have the time, energy, or interest to devote to getting six pack abs. But that doesn’t mean I don’t yearn for a flat tummy, and with this collection of FABULOUS at-home workouts, I’ve learned how to lose belly fat fast. My jeans fit better than they have in years and I no longer need to wear a pair of Spanx to fit into my favorite black dress – who knew getting back into shape could be so easy?! 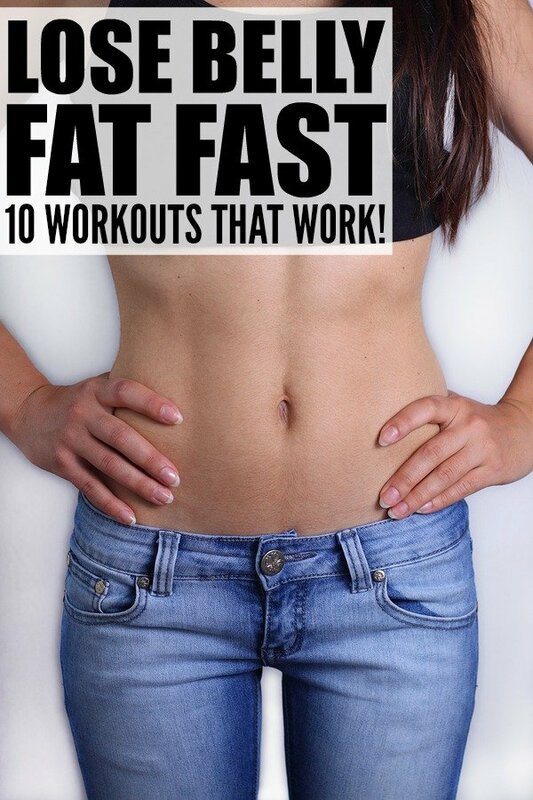 If you found these at-home workouts to lose belly fat helpful, please share them on Pinterest! And if you’re looking for more at-home workouts to help you get back in shape, please follow our Health and Fitness board where we share all kinds of great ideas!